After soaking up some great motivation at Lake Sonoma 50, I put down a high quality two-week training block with lots of climb, then took a rest week to really absorb it. That Friday I found myself feeling good, and with my birthday the next day, I started surfing the web for a race. Why not?! It felt like the right thing to do. It is the Bay Area after all, and I was delighted to find a nice little 50k down in Joaquin Miller Park in Oakland. Checking the entrants list, I saw Chris DeNucci was also racing. So that sealed the deal—get to race on my birthday against at least one competitor who I knew would push me from start to finish. And that’s all it takes—one other runner to keep you honest and working to your potential on the day. As it turned out, there were plenty of guys rocking it on the front, including Chris Castleman and Alex Ho. It won’t be too much longer before I won’t be able to stay in front of these guys for 50k! Like Edgar Allan Poe wrote, “Without a certain continuity of effort, without a certain duration or repetition of purpose, the soul is never deeply moved.” That right there is why I’m crazy about ultra-running. When I came through the start/finish (for the second time), I knew I had to string together just 4 more miles of continuous effort to complete the final loop to make it 50k. I found myself thinking of Travis Macy’s dad, from the book I just read called, Ultra Mindset. In it Macy talks about what the guys from his Dad’s era of ultra-runners had instead of comfy Hokas and super-fuels like Vitargo—-and that’s grit, plain and simple. And grit is what we need in abundance to run 100 miles. Winning a small, local 50k in course-record fashion on one’s birthday feels good, to be certain, but honing one’s ultra-running mettle for an upcoming hundo is priceless when we find ourselves at mile 80. Okay, so I’ve shared the basic components of my 100mi prep: training, the mental game, inspiration, and what else?… Oh yeah right, strength. I’ve been trying to be consistent with a modest strength circuit routine I can do during the week but that won’t compromise my quality run sessions. It basically encompasses four exercises (which I vary depending on what’s sore that day) that I like to do 3-4 times through. These include some basics like sit-ups and pull-ups as well as some full body stuff with 8lb dumbbells and the TRX. I try to keep it simple and it’s no surprise I’m stronger after a recovery week and less strong when I have a lot of miles in me. My feeling with strength training is that a little goes a long way. That’s my hope here in 17 days—go a long way, strong. Hold form together so you can “fake it until you make it.” !!! Looking ahead now, I’ve begun hittin’ the sauna with two 20min sessions in the last few days. I’ll do this all the way up to San Diego. Temps have been way too cool here in wine country so far this spring, so a little sauna training better go a long way as well! 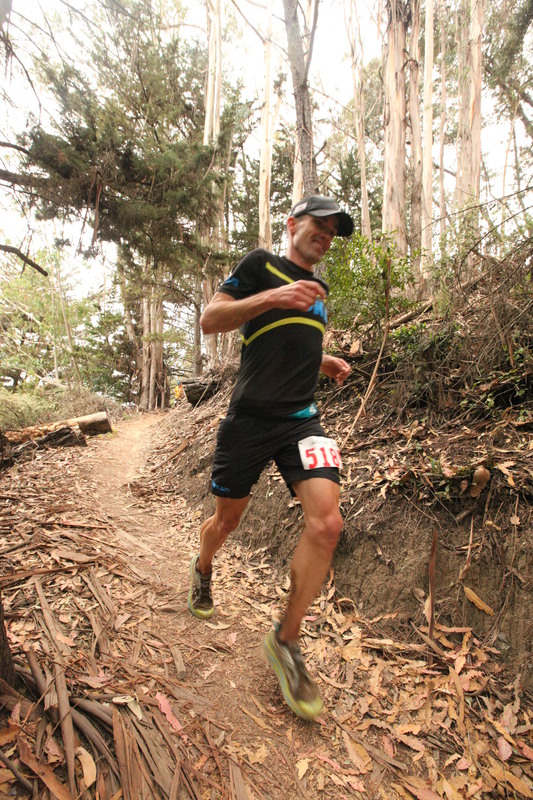 This week’s the last structured training week prior to San Diego, which I’ll cap off with the Western States Training Runs this Memorial Day weekend with another Hoka teammate, Paul Terranova. I’m hoping to bank 50k of sweet trail running bliss on Saturday and follow it up with 20 on Sunday. And that’ll do it. I’ll stay sharp with a handful of short runs, work on my race-plan, keep studying the course, strategize, get great sleep, limit my caffeine and alcohol intake, hydrate, stretch, foam-roll, and keep visualizing how I want things to pan out on game-day. The SD course is in its 14th year and over that period we have had 4 major course changes that make records only applicable to the years that it was run over those particular courses. The first 7 years was the easiest as an out and back on the PCT and it was held in Nov. Karl holds that record at 15:48. The next two years was a double loop in the Cuyamacas….it too was an easier course and comparable to Karl’s course record so I always considered Karl’s time as the course record for this route as well. Then 6 years ago the race underwent a major change when I inherited the event and we ran a much tougher and more varied course. Over those first 4 years, Jeff Browning won the race twice and held the course record of 16:39….a very solid and impressive time. 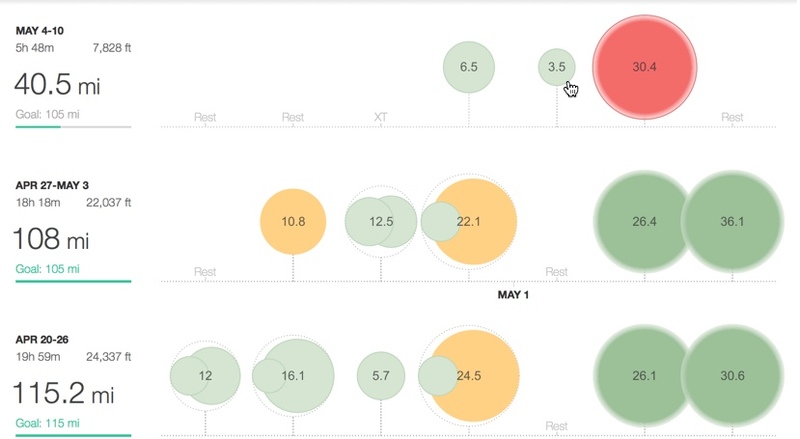 I feel Browning’s time was pretty much comparable or better in terms of difficulty to Karl’s record on the old course and it was run in June when it is significantly hotter than the Nov time frame of Karl’s. Then two years ago (just after the 2013 race, a devastating wild fire destroyed our race venue and many of the trails we use so we had to yet again change the course. Last year’s and this year’s courses are very similar (only a very minor change) and I believe this variation of the course is the toughest of all past variations. Jeff Kozak won last year’s event in 19:24 and that is the current course record that you would be competing against. As you know 100 mile course records are so dependent upon race day conditions and in our case upon route changes. I think this year’s course winning time will be below 19 hours but again, too many variables to predict. I will add…the SD 100 course is “sneaky hard” By this I mean it looks very runnable for the entire course but there are some very technical and hard sections that don’t appear so on paper. The dry air, wind and low humidity need to be watched closely as well with regards to dehydration. Thank you to Julbo Eyewear for the sweet looking, functional, and super comfortable sunglasses. It’s GREAT to be working with you guys (and gals!). Thank you to Hoka One One for the their continued support and producing the best shoes out there—#LetsGoHoka! Thanks to Inside Trail Racing for your offering so many fantastic races in great places. | Thanks to Vitargo for the steady energy and SIMPLIFYING my SAN DIEGO 100 nutrition. Thank you Healdsburg Running Company for opening up in my ‘hood. Love the new store and the weekly group runs. It’s great to be building community with you! 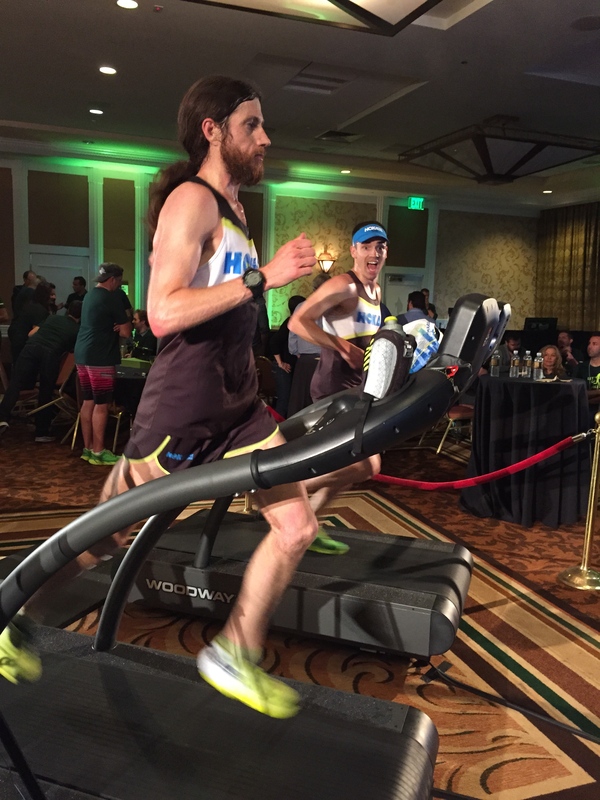 This entry was posted in Training and tagged Chris Denucci, Hoka One One, Michael Wardian, Paul Terranova, San Diego 100, Strava, Ultra Mindset, Western States 100 by bobshebest. Bookmark the permalink. Great write up, as always Bob. You’re got some talent as a writer, too! I really was surprised though that you’re still doing sit-ups? Man, that’s old school, and not too healthy for your back either. Anyway, all the best to you and prep for SD!